We may revise the Terms and Conditions from time to time by updating this posting, with the new terms taking effect on the date of posting. You should review these Terms and Conditions every time you use the 826 National website because they are binding on you. IF YOU DO NOT AGREE TO THE TERMS AND CONDITIONS SET FORTH HERE, PLEASE DO NOT USE THIS WEBSITE. All content on the Website (the “Content”), including, but not limited to, design, text, graphics, other files, and their selection and arrangement, is the proprietary property of 826 National. No Content may be modified, copied, distributed, framed, reproduced, republished, downloaded, displayed, posted, transmitted or sold in any form or by any means, in whole or in part, without 826 National’s prior written permission. 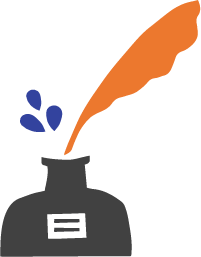 You may download or print a copy of any portion of the Content solely for your personal, non-commercial use, provided that you keep all copyright or other proprietary notices intact. You may not republish Content on any Internet, Intranet or Extranet website or incorporate the information in any other database or compilation. Any other use of the Content is strictly prohibited. All content of the 826 National website is Copyright ©2006 826 National. All rights reserved. 826 National, the 826 National logo, and other 826 National logos are protected by state and federal trademark laws. You agree not to display or use these trademarks in any manner without 826 National’s prior written permission. Other trademarks appear on the 826 National website with permission from their respective owners. 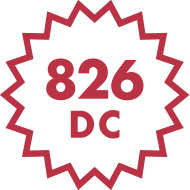 Your unauthorized use of trademarks appearing on the 826 National website may constitute trademark infringement, which could subject you to substantial civil penalties. This Agreement between you and 826 National will be governed by and construed in accordance with the laws of the State of California without regard to conflict of laws principles. This Website is controlled and operated by 826 National from its principal office in the State of California, United States of America. 826 National makes no representation that materials on the 826 National website are appropriate or available for use in other locations. Recognizing the global nature of the Internet, you agree to comply with all applicable local rules. The Website is not intended to subject 826 National to the laws or jurisdiction of any state, country or territory other than the State of California and the United States of America.